ASTM A270 Sanitary stainless steel tubing as well sanitary stainless steel tube, meets A270 standards available in sanitary stainless steel AISI 316L, 304L or 304 from 1” to 4” sizes, inside roughness ( 32 μ'/0,8 μm ) Ra 180 grit; outside surface finishing ( 150 grit / Brushed ) acording A270. Upon Request Inside surface finishing ( 20 μ'/0,5 μm ) Ra. for ASME SA270 standards. To maintain clean standards tubes are packed individually in plastic sleeves and covered with plastic caps in both ends. Cleanliness, sterilization and safety are mission-critical factors in order to maintain and deliver quality products to their consumers especially for the food, beverage and pharmaceutical industries. The tube inside wall must be extremely smooth, cervice-free, in order to avoid all possible corrosions and ensure the better flow of fluid, easy to clean up and long hygienic conditions. 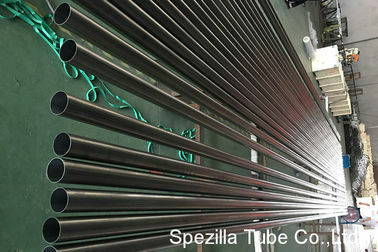 304 is the standard '18/8' stainless and known to be the most versatile and most widely used stainless steel. It is chosen for its suitability for use in highly corrosive environments, resistance to chromium carbide precipitation, high formability and high weldability. 304L grade is an extra low carbon version of 304 which offers additional resistance to carbide precipitation during welding, therefore eliminating the need for post weld annealing in most cases. Applications include kitchen equipment, welded components of chemical, textile, pharmaceutical and paper processing equipment, cosmetic automotive trim, air bag inflator tubes, automotive and truck exhaust components. 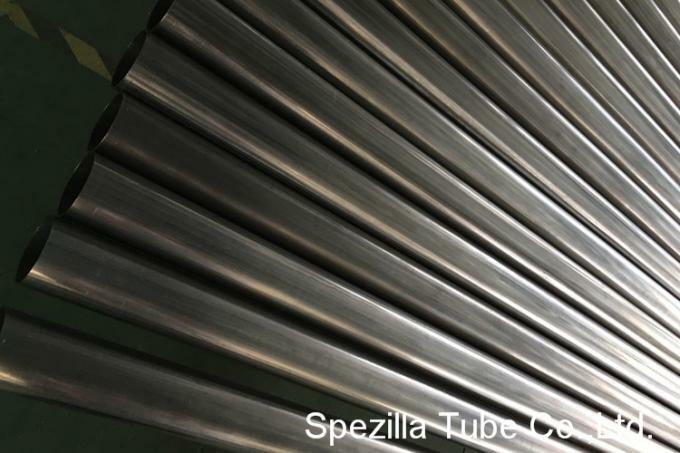 This stainless grade is similar to that of the 304 grade, but with additions of molybdenum, greater corrosion resistance and improved high temperature strength is achieved. Corrosion resistance to lower pH and chloride solutions can be attributed to this particular grade's combination of stainless alloying elements. 316L grade is an extra low carbon version of 316 which offers additional resistance to carbide precipitation during welding, therefore eliminating the need for post weld annealing in most cases. Applications include parts exposed to marine atmospheres, furnace components, heat exchanger tubes, and exhaust manifolds.